Home - Build & Grow e.V. 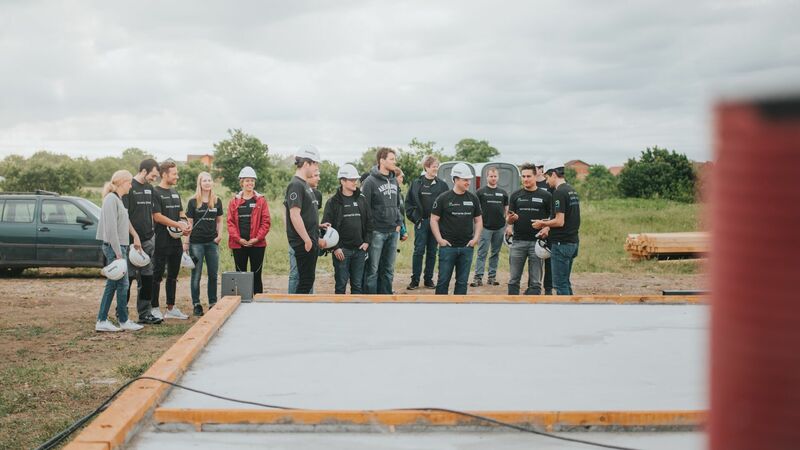 COULD YOUR CORPORATE TEAM BUILD A HOME FOR A FAMILY IN NEED IN ONLY 3 DAYS? Combat the Desperate need for Housing! "THIS IS SOMETHING MY COLLEAGUES WILL STILL TALK ABOUT IN 20 YEARS." Build&Grow arranges 3-5 day service trips to Eastern Europe for business people primarily. 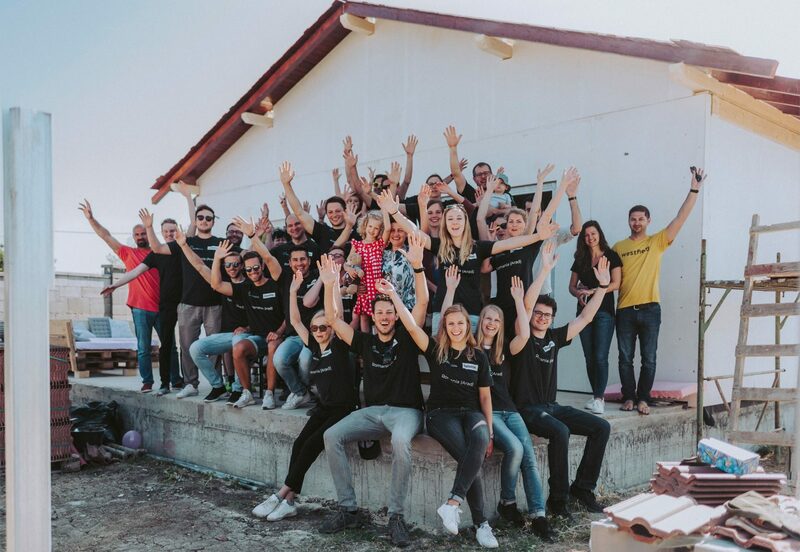 Your team (~15-25 people) is tasked with and given all the material needed to build a house for a family in need in only 3 days – uplifting their lives forever. This meaningful experience combines Corporate Social Responsibility (CSR), staff development & employer branding in an authentic way. What can be more rewarding as a team than helping build a home for a family as a stepping-stone to break the cycle of poverty? Housing is one of those basic social conditions that determine the quality of life and welfare of people and places. Build houses with an integrated approach. The response to the poor is rooted in relationships, not just resources. This means actively integrating the families in need in the home building process to give them a sense of accomplishment, providing job opportunities as well as counseling to help them grow. Therefore, Build & Grow is not simply about providing a roof to families to raise their children, but also about creating a sustainable community for them and letting all participants grow their personal and social skills. ”Never worry about numbers, help one person at a time. You can be sure: This is what the colleagues will still talk about in 20 years. I can recommend everyone to participate here. This build experience helps everyone who participates to understand what life is really all about. It is exciting to see that this experience goes to the hearts of the team. Especially when the house is handed over to the family. I can really trust Build & Grow as they strongly cooperate with local partners to wisely select the families that receive a home. It did not feel like a burden offering my time or resources, it was a rather a privilege to be part of this. You take your time and money to the construction site and give a family a new life by building a house for them. This is motivation enough for me. I loved the collaboration with all the different people and the variety of work on the build site – from painting to using a circular saw. Get Involved and invite your corporate team!